Succulents and More: Of course I'm buying plants on my trip! I don't want you to think I'm "just" visiting gardens on my Southern California trip. Yes, that's the main reason why I'm in the Southland, but I've been doing of plenty of plant shopping. I look forward to getting them in the ground after I get back! ha! I'm making a plant list for my road trip to Socal in March. 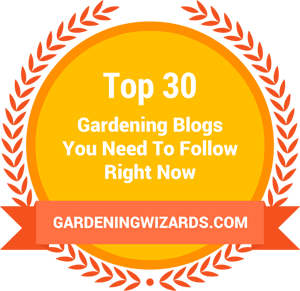 I've found about half of the plants on my list. Some are just a bit too exotic, I guess. 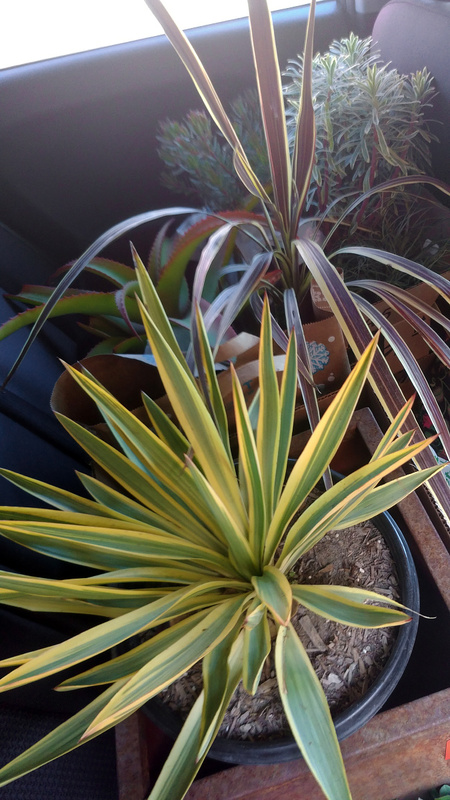 Where are you buying these plants? 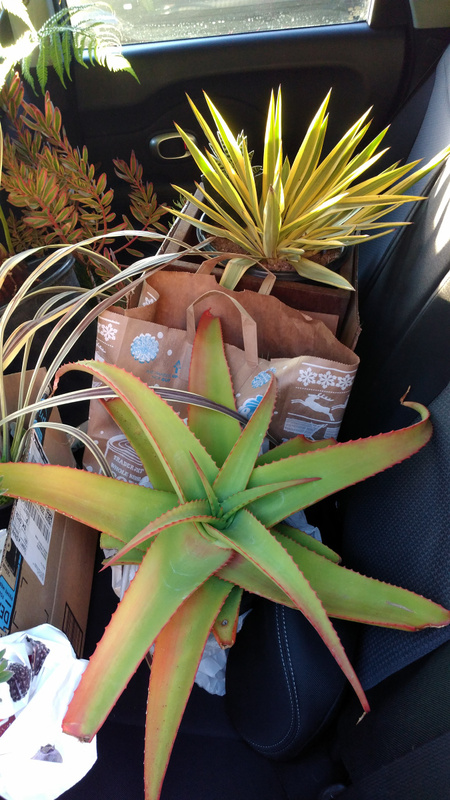 I always get the best tips on socal nurseries from other bloggers... Have fun! Renee, great question! I added nursery info to my post above. All the nurseries I've been to are what I would consider "mainstream." But they're so well stocked at this time of year! I guess planting season never ends in Southern California! Nice haul. 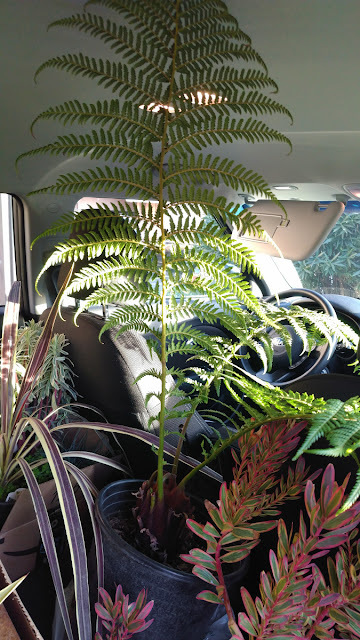 The only problem with having other person with you is that there may not be room for plants for both people. So going solo is a good thing. ha! ha! That's no problem. Just take a larger vehicle. Something I should have done, too. My Kia Soul rental is *full*. Nice work, I would expect nothing less! Ha! Now I feel *pressure*. 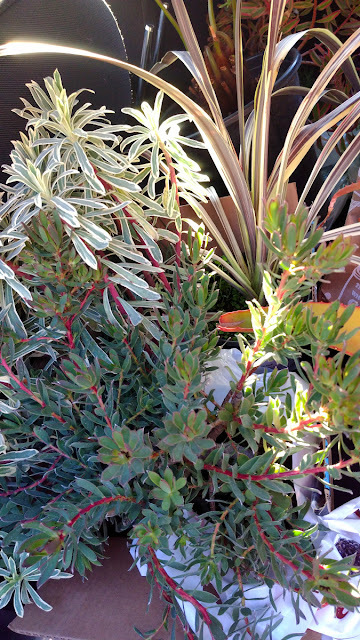 On that note, off to a nursery (Garden View Nursery in Irwindale) before the Huntington opens at 10am. Good (and intensive) shopping. Glad the HB Village had some of your sought-fors. 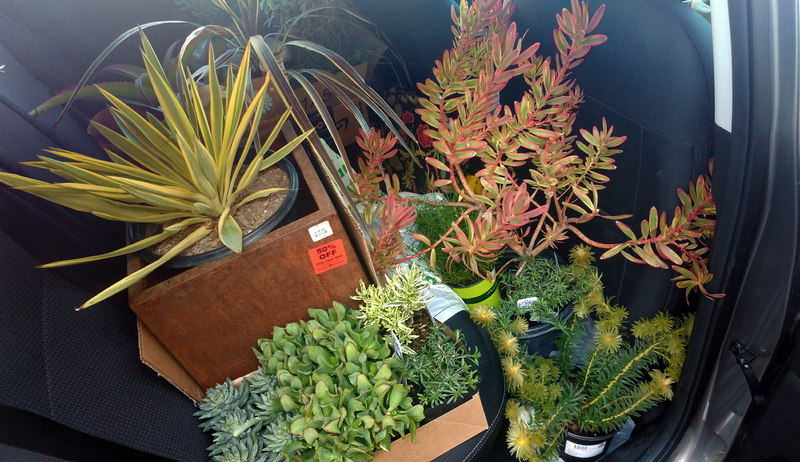 You made great use of that brief stop at Village Nursery! Yes! Fortunately Gail had told me where the plants I was looking for were. I had to smile at your comment above about the nurseries being "well stocked," when Ive been miserable with anticipation for when they truly get plants in after the winter holidays. 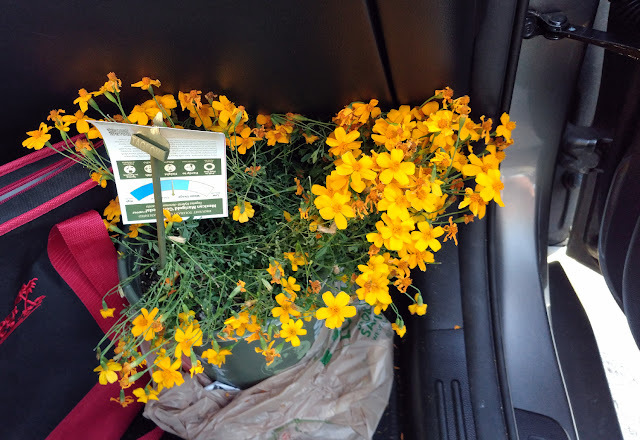 I had no idea erepsia is on your list! I just brought one home last week in a gallon. I can grab another and hold on to it if you like. So much fun seeing you. Next time we'll have a proper garden party at my house. Had a blast in Arizona the past couple days on some of your well-traveled paths, DBG, Boyce, etc.